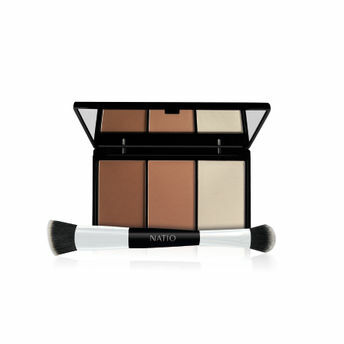 Natio Contour Palette consists of 3 natural colours to effortlessly sculpt and define facial features. Dark Contour to warm and shade areas of the face. Use along the jawline and under the cheekbones. Medium Contour to add natural depth to the cheekbones. Highlighter to enhance the cheek and brow bones. Explore the entire range of Face Palettes available on Nykaa. Shop more Natio products here.You can browse through the complete world of Natio Face Palettes .